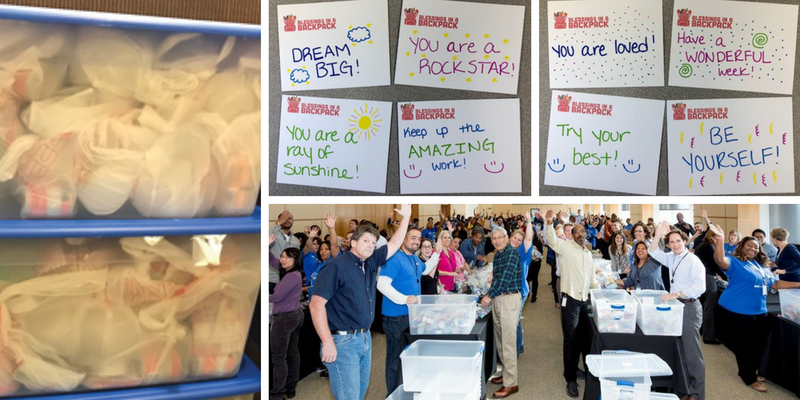 Hosting an employee engagement packing event is an excellent way to get your colleagues, team members, and kids involved with Blessings in a Backpack. It is a hands-on volunteer activity that we can customize for groups of all sizes and ages and is a meaningful service opportunity for all who participate. Events can take place anywhere – an office, conference venue, or other facilities. 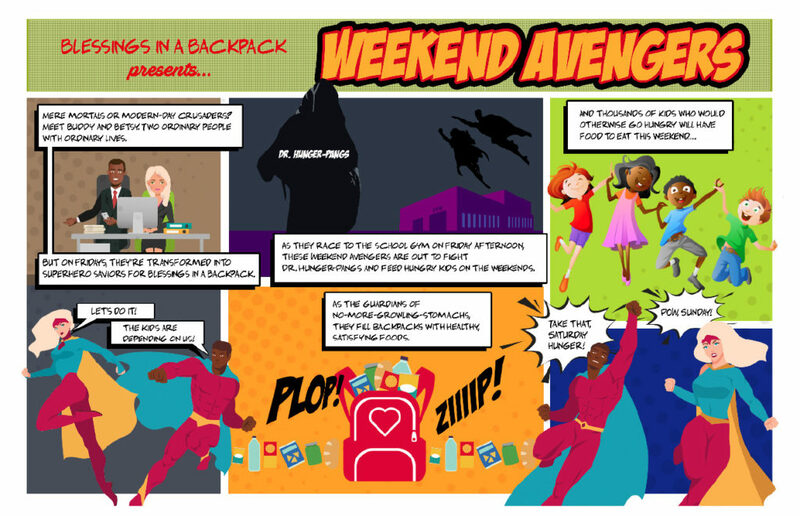 Blessings in a Backpack will work with you to develop an event to meet your goals and available resources. If you haven’t already, book an employee engagement packing event today! » Events start at 500 bags, increasing by increments of 250, with an average donation of $6 per bag. » One month notice is required to confirm an event. Click here to watch a packing event and see all the fun first hand! The American Honda Financial Services conducted packing events at 10 of their U.S. locations, packing a total of 6,000 bags. To celebrate the 80-year anniversary of Blue Cross Blue Shield of Illinois, employees packed over 5,000 bags of food for three Blessings in a Backpack programs in Chicago. This large-scale event concluded a summer of service volunteering campaign and involved over 350 employees. Coca Cola employee-volunteers packed more than 1,000 bags for a local Blessings in a Backpack program in Atlanta. Two teams from the company’s beverage marketing legal division competed to see which team could pack the fastest. 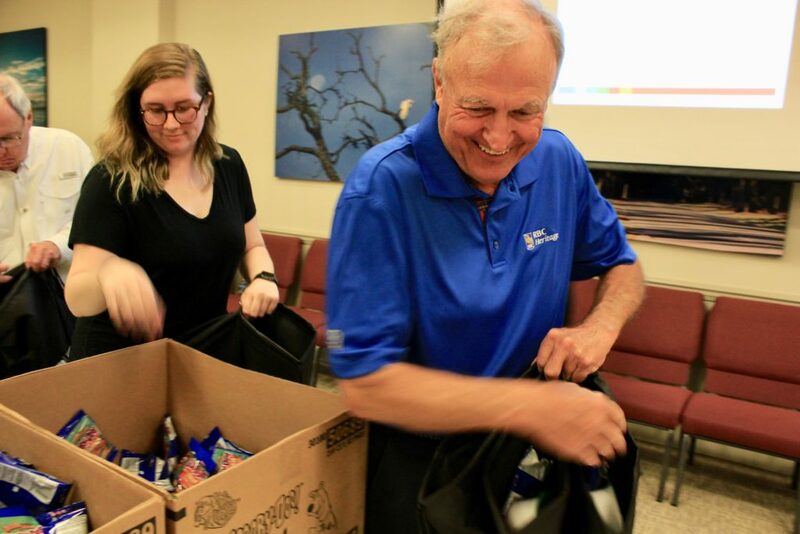 Molex included an outdoor corporate packing event during its offsite Leadership Conference at a Florida resort with attendees packing 1,000 bags of food for Blessings in a Backpack programs in Pinellas County. Protiviti incorporated a packing event into its ‘Take Your Child to Work Day.’ The company’s employee-volunteers and their children packed more than 500 bags of food for a local Blessings in a Backpack program in Chicago. CME employees pack bags quarterly for 70 students at a school near their Chicago office. Blessings in a Backpack welcomes partnerships with companies that are interested in combining packing bags on a regular basis with a financial commitment to feeding a minimum of 100 kids at a program location. Yes, I'm interested in hosting an employee packing event!